Recently Good Gear Guide praised Yamaha’s NX-P100 for its versatility. We loved the sound it produced and its ability to charge draining devices. The little NX-P100 fulfilled everything we had hoped a portable speaker could. But now Braven has taken it a step further, it appears. Brazen’s 710 speaker works over Bluetooth, features NFC for easy pairing and is resistant to water with its IP5X rating. A rubber flap peels off to expose an auxiliary port, a micro-USB port and a USB-out port for smartphone charging. Inside is a noise cancelling microphone enabling the 710 to be used for wireless phone calls. These are all qualities shared by Yamaha’s similarly priced NX-P100. Then the 710 goes a little further. The speaker is constructed from the kind of aluminium used on aircrafts. 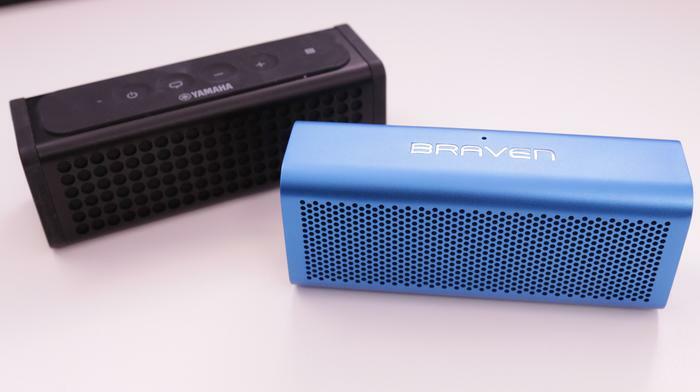 Technology coined “Truewireless” by Braven makes it possible to pair two or more 710 speakers. This modular connectivity is something the NX-P100 doesn’t have. Nor does the NX-P100 feature support for an external sub-woofer through an auxiliary out port. Braven’s 710 appears to have Yamaha’s number on paper then. Mind you, the $229 price tag does make it a tad more expensive than Yamaha’s $199 NX-P100. 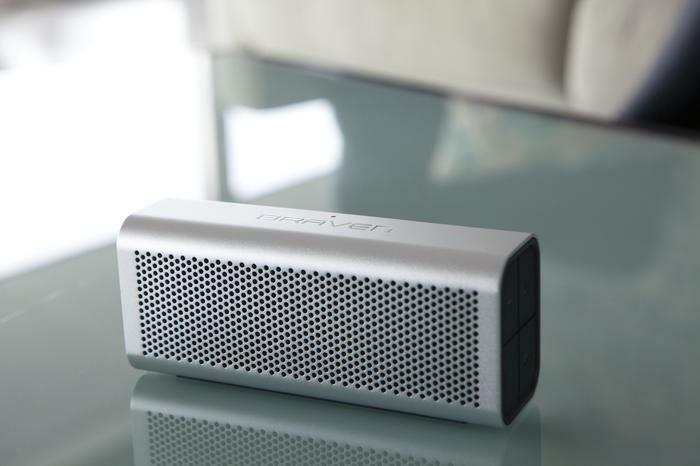 Braven's 710 speaker is now available from select retailers. Good Gear Guide has a Braven 710 waiting for us in our test centre. This duel will boil down to sound quality, and we’ll reveal the challenger’s performance in our upcoming review. Stay tuned.